Why is Meteor logging challenging? Although teams can use console.log to debug Meteor application issues in testing, there is no simple way to manage, monitor, and analyze its logs in the production environment. Multiple servers in a distributed environment complicates Meteor logging. Lack of automation and tedious workflows increase the time and effort in troubleshooting, and teams can struggle to enable both the server and client-side logging. Due to these gaps, many issues often remain undetected and unresolved. It is difficult to analyze text logs manually. To visualize search results and automate troubleshooting tasks, teams have to use multiple tools that require complex configuration. Working with all these tools is a hassle and can impede troubleshooting. 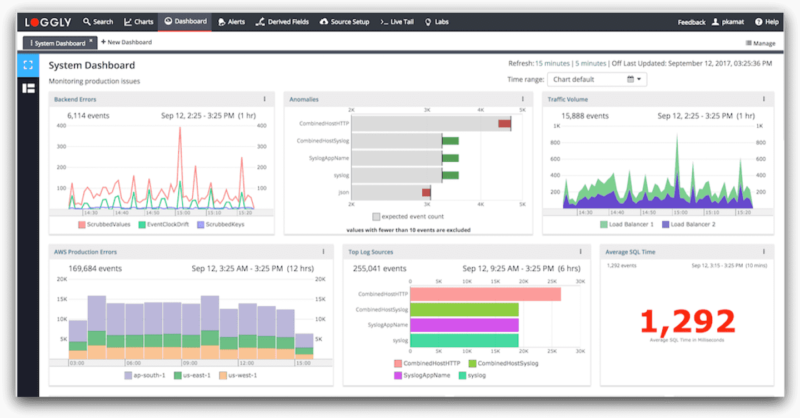 SolarWinds® Loggly® simplifies logging and analysis by aggregating all your logs in one place. The cloud-based setup helps ensure you don’t have to worry about managing and maintaining a dedicated logging server. While Meteor has Atmosphere.js as its package manager, its integration with npm makes it easier for you to monitor Meteor apps. And sending logs from Meteor servers to Loggly is simple; you can use winston-loggly-bulk npm package for the purpose. A simple configuration helps ensure you don’t have to spend hours just to set up Meteor logging and, as a SaaS service, Loggly simplifies provisioning and scalability to meet peak loads. Moreover, Loggly archives your logs on AWS S3 buckets after their retention period. Loggly helps you extract more out of your logs quickly. It can automatically parse many types of log data, simplifying analysis using numerous fields, filters, faceted search, and more. While Loggly automatically parses supported log types as soon as it receives the logs, it provides near-instant results for your search queries. You can find a structured summary of all your parsed logs in the Dynamic Field Explorer. It gives you a guided search experience, which means you can click and browse through your Meteor logs without using commands. And more than that, it keeps updating the information to help you stay on top of your environment. Loggly offers different types of charts to visualize your search results. This visualization can help you catch deviations from the baseline performance, track key metrics, monitor SLA compliance, and create easily sharable reports. As Loggly is built for interactivity, you can easily drag and resize multiple charts in a dashboard, and sync them to a particular time frame with a single click. The dashboards can be shared with multiple team members who can also edit the charts based on their access rights. To support collaboration between team members, Loggly also integrates with tools like JIRA, GitHub, HipChat, Slack, and more. This means you can configure intelligent alerts, create JIRA tickets, and link your logs to the respective bits of code without shuffling between multiple tools.